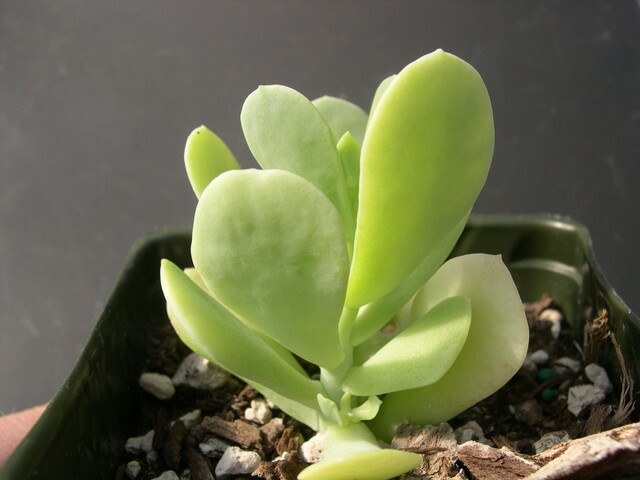 Previously named Sedum platyphyllum. Smooth leaved perennial shrub from Mexico. Greenish-white flowers with red dots. Similar to Sedum allantoides.